Fabulous Victorian Chinese Chippendale Revival Porcelain Display Shelves. 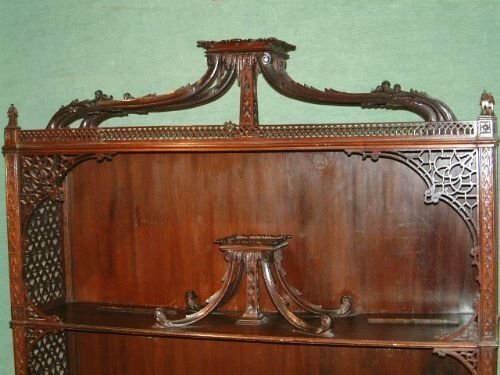 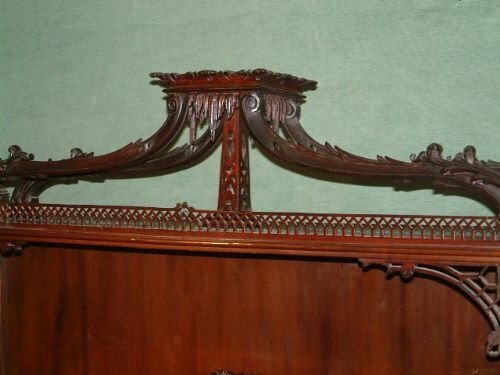 Fabulous Victorian Chinese Chippendale Revival Porcelain Display Shelves made from Mahogany Typical of the Work found in the famous Director of Thomas Chippendale of the 1750's. 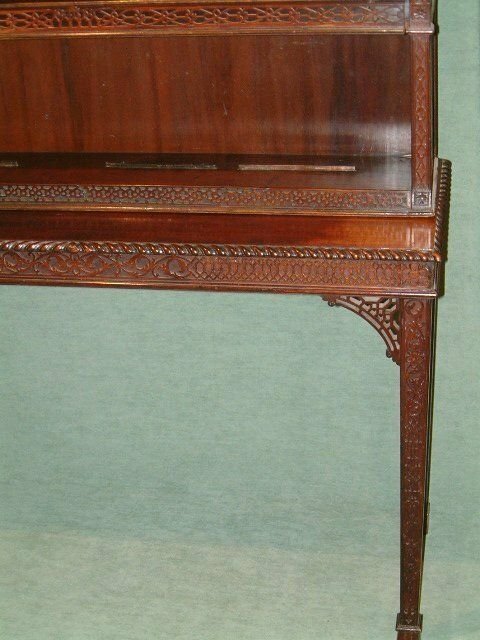 Typicaly consisting of Fine Carving, Fretwork and Blind Fretting. 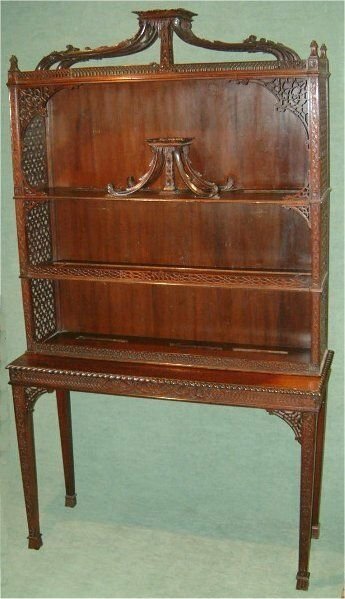 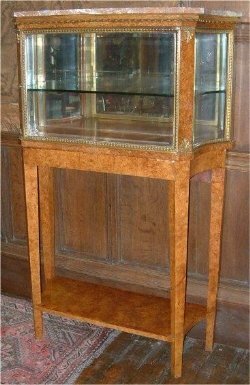 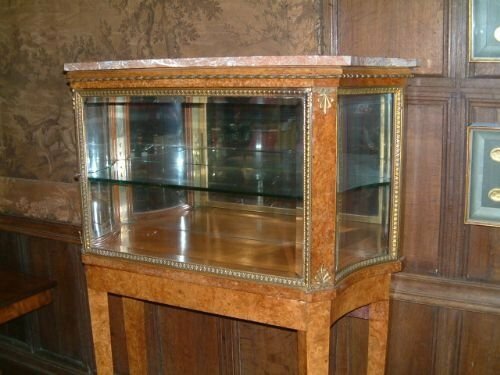 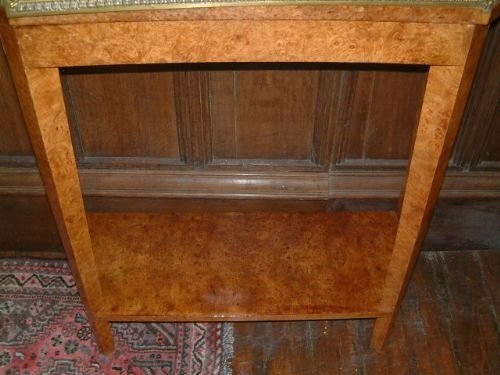 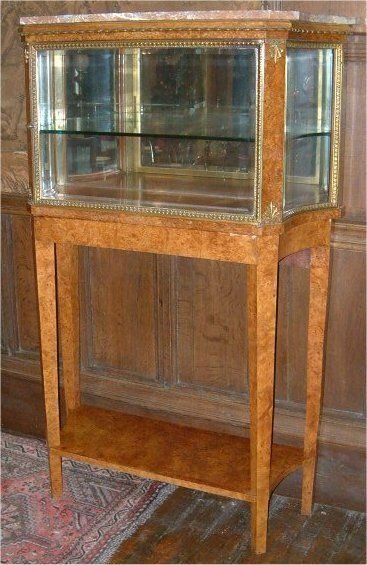 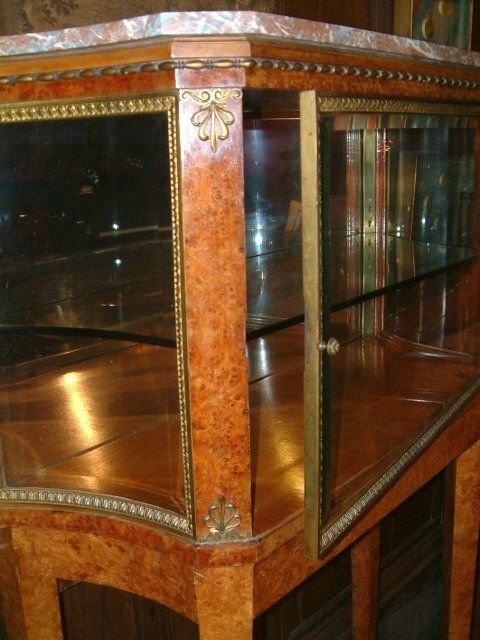 19th Century Burr Elm Vitrine Display Cabinet the Shaped Marble Top above an Ormolu Door Revealing an Adjustable Glass Shelf, Mirrored Back, Surmounted by Ormolu Motifs & Beaded Ormolu Mouldings Seated on a Burr Elm Stand with Lower Shelf. 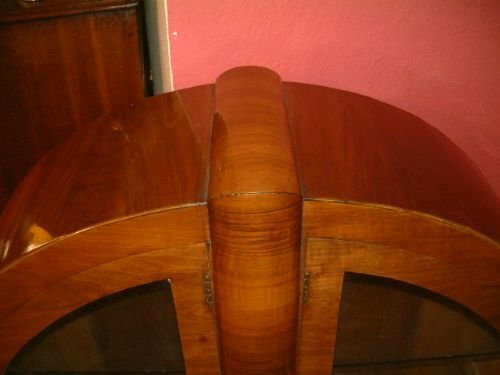 Superb Quality Possibly French. 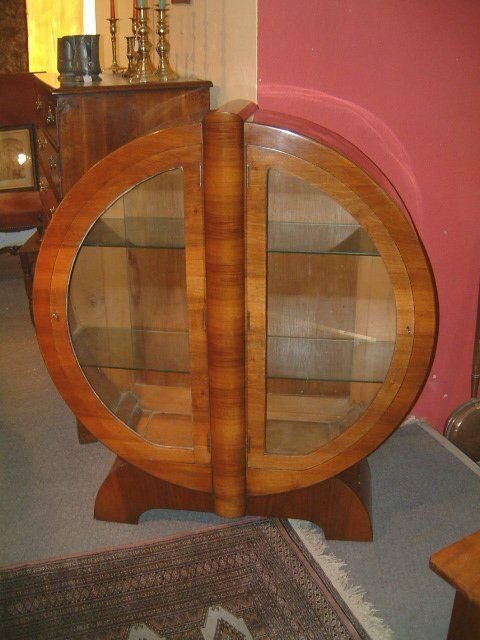 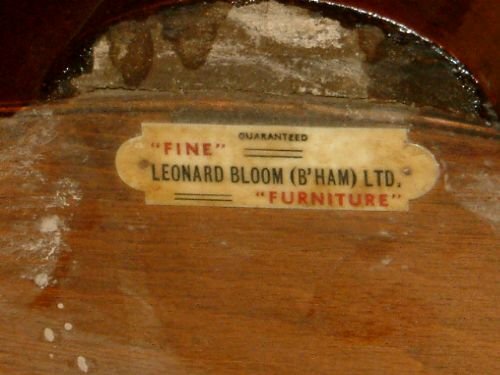 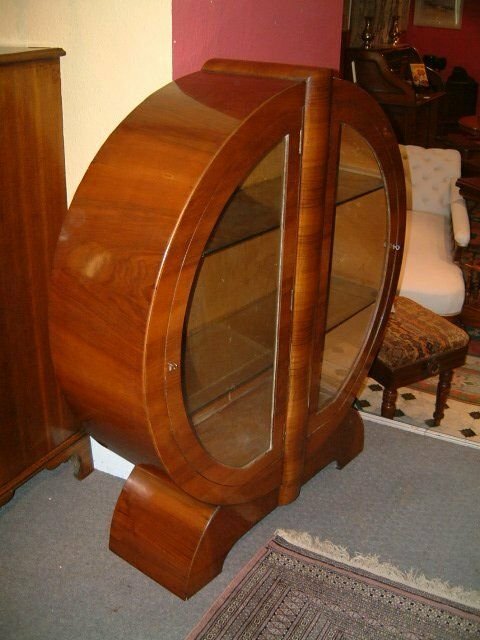 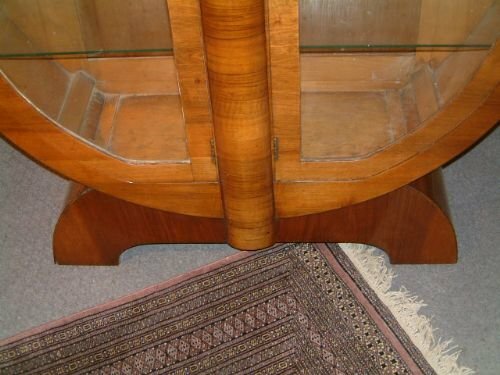 Art Deco Circular Walnut Display Cabinet, Superb Stylish Piece, Bearing the Label "Leonard Bloom (Birmingham)" with 2 Glass Shelves lower one missing.